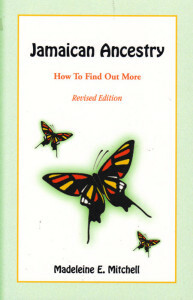 Madeleine Mitchell’s really useful book on researching Jamaican ancestors first came out in 1998 and a revised edition was published in 2008. In the Preface to the first edition she described herself as a family historian who had been working on her own Jamaican ancestry for more than a decade, that experience now stretches to quarter of a century and more, and some of the useful online links she has discovered over the years can be found on the Rootsweb site that she maintains. She begins the book with the golden rule of genealogy – to work backwards from what you know to the unknown. In the Jamaican context she stresses the importance of oral history and of knowing the parish with which your family were or are connected, and to help with this the book includes three maps showing the early parishes, the 19th-century parishes, and the modern boundaries in Jamaica. There is also a list of critical events in the history of Jamaica. The topics covered in the book include finding your way among the records for civil registration, church records, monumental inscriptions, maps and land records, records relating to immigration and naturalisation as well as emigration. There is information about military records; schools, Colleges, and Universities; printed sources of information which may include relevant records such as handbooks, directories, court records and newspapers. There is also a short but useful section on occupations, and a diagram showing the hierarchy of occupations underneath the owner, and the planting attorney who managed an estate. 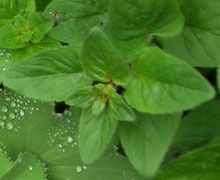 Although the various sections act as pointers towards original sources, both online and manuscript or published, there is a huge amount of useful background information as for example in relation to the immigration of Scots to Jamaica covering the Darien disaster in the late 17th century whose remaining colonists fetched up in Jamaica. Twenty-five years ago most sources for genealogy research were only available in physical form, with the arrival of the internet all that has changed. In addition to references to online sources throughout the main text, a section at the end of the book lists a range of web based resources, and a topic and full name index completes the book. Madeleine Mitchell was born in Browns Town, Saint Ann, Jamaica and went to school in Browns Town and Kingston, later studying in Canada at McGill University. She now lives in Florida. Among her other work on Jamaican genealogy is an index to early Wills of Jamaica. For anyone interested in researching their own Jamaican ancestry, this is an essential handbook and for anyone with but a passing interest it is full of fascinating background to Jamaica and its colonial past. Madeleine E Mitchell, Jamaican Ancestry How to Find Out More (revised edition), Heritage Books Inc., Westminster, Maryland, USA, 2008. ISBN-13: 978-0788442827. And as a quick footnote – Can I remind you that the page called ‘Latest Additions’ on the left hand menu will take you to a list of – latest additions to the site! This week I have added several Wills relating to the families of the Aikenhead sisters, daughters of Archibald Aikenhead of Stirling Castle, Jamaica.